Anti-Kavanugh protesters force Texas senator and his wife to leave restaurant. 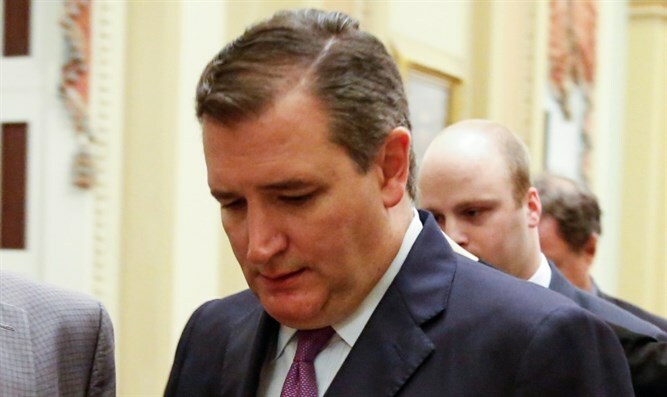 Senator Ted Cruz (Republican-Texas) and his wife were forced to leave a restaurant after they were accosted by a group of left-wing activists. The activists belong to a group called 'Smash Racism DC,' and oppose US President Donald Trump's nomination of Judge Brett Kavahnugh to the Supreme Court. The group uploaded videos of the incident to Twitter. The activists yelled "we believe survivors" at the senator and his wife and called to "cancel Kavanugh." A woman who stated that she was a survivor of sexual assault told Cruz: "I’m a constituent, love to know what your vote is gonna be tonight. I know that you’re very close friends with Mr. Kavanaugh. Do you believe survivors?" "There are now three people who have come forward and who have said that Brett Kavanaugh has attacked them. I know that you’re close friends with him. Could you talk to him about that? Could you talk to him about his position?” she asked. Cruz told the woman “God bless you, ma'am." He and his wife later left the restaurant as the chanting continued. In June, White House Press Secretary Sarah Huckabee Sanders was forced to leave the Red Hen restaurant in Lexington, Virginia by the restaurant owner. Protesters gathered and chanted outside of the restaurant she and her family relocated to across the street from the Red Hen.